This is a sponsored blog post. I received compensation from Gymboree. All opinions and text are 100% mine. You know one of the best parts of the day for me? First thing in the morning, after the morning rush, after breakfast has been served and cleaned up, and after the big kids are on the bus to school. My three little kids and I snuggle up on the couch, all of us still pajama-clad, with a pile of our favorite books. The house is quiet, and I can concentrate on this special time with my little ones. The big kids get the attention after schol, when everything is a swirl of activity–homework, piano practice, ballet, hockey practice, violin lessons– all while I prep for dinner and field just about a million questions. But the quiet of the morning is the most peaceful time of the day, snuggling up and taking a few moments with my little ones. These fall days are the best, with the mornings starting to feel crisp, and us all cozied up on the couch. My favorite thing is when the boys chime in with the words they know, and are so proud because they’re “reading”, which we’re working on right now. Their excitement just bubbles over, and it’s contagious. Even the baby starts babbling, points to the pictures, and tries to turn the pages faster to get to the next part. They are ordinary moments that become magical. I want them to last forever! I also get to introduce all of my favorite books, and they quickly become loved by all. My boys just turned five and my baby girl is one, so while their favorite lists are quite different (the baby isn’t quite as into truck books as the boys are), Eric Carle books are ones they all agree on. The Very Hungry Caterpillar and Brown Bear, Brown Bear are ones they could listen to it over and over again. We love pajamas almost as much as we love books, and when I saw that Gymboree (one of my favorite places to get pajamas for my kids) had a new Eric Carle sleepwear line, I was THRILLED. I couldn’t wait to get my hands on a pair for my baby (the line goes up to 6T, but my boys are now too big, *sob*). I really wanted one of each, but I got my personal favorite…The Very Hungry Caterpillar. Seriously adorable. This is the best collaboration ever!! It’s like having my cake and eating it too. :) Yep…we have good mornings with Eric Carle and Gymboree!! Inspired by Eric Carle’s Brown Bear, Brown Bear, What Do You See, from 9/2-9/30, Gymboree will be hosting a photo contest, where they are encouraging parents to help their little ones take a picture of what they see. You can submit a photo via Twitter, Instagram, Tumblr or via their designated direct photo upload site, using the hashtag, #WhatDoYouSee. For even more fun, download their iPhone app so you and your little one can add some Eric Carle fun to your photos and play a caterpillar game! I’m dying over the darling free printable activities & coloring pages! Aren’t they fun? 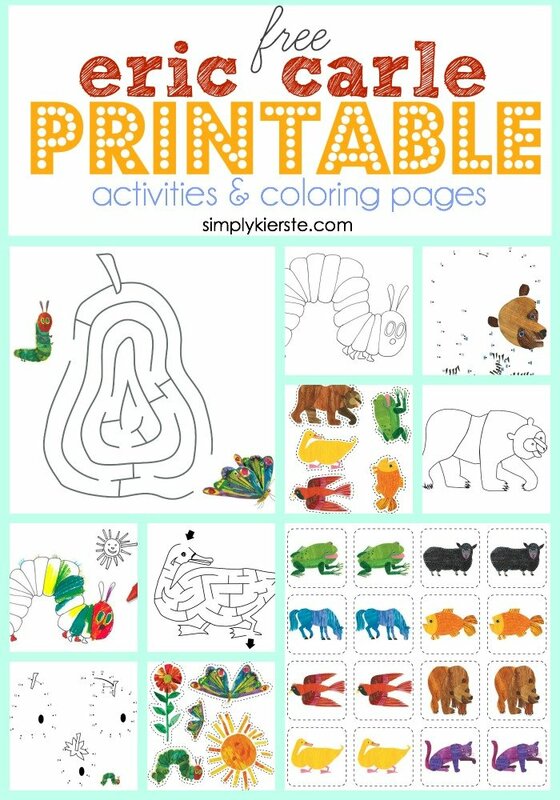 Click HERE to download the Eric Carle printables!!! I live in NC. It’s the humidity that is killing me, mostly! I TOTALLY understand. Humidity changes everything!!! So I clicked on the link and it doesn’t take me to the printables, it goes to the Gymboree website. 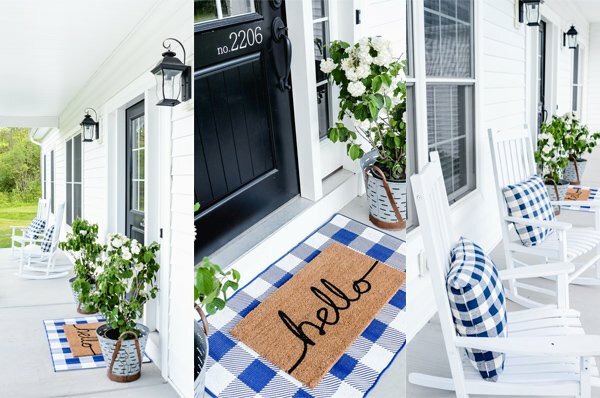 Could you please send me the link to the printables? The printables were on the Gymboree site, so they must have taken them down. I’m so sorry!! !